I’m frequently asked how I started rescuing hedgehogs and became a crazy hedgehog lady…. so here goes! The inspiration started way way way back. Here is my mum as a girl with a hedgehog in her garden. So it must always have been in my genes! I remember camping trips with my parents where we would hear hedgehogs snuffling around outside the tent. We even fed them hedgehog flavour crisps – well it was the 1980s! I now know better and would never feed crisps or bread. One of my first dates with my now husband was to a hedgehog sanctuary in Devon. I got to hold a baby hedgehog and was smitten. When we relocated to York, I never expected to find hedgehogs in a city but I hoped and hoped. Then, one night, we came home to a hedgehog on the doorstep. I started feeding and watering them and more came. We soon had 7+ visiting every night. It turns out that suburbia is one of the last and best refuges for hedgehogs. After a few months, I spotted a hedgehog with a leaf on its back. I thought it was so cute that it had got a leaf stuck on its prickles. But I was wrong. Closer inspection revealed that the ‘leaf’ was green plastic netting from one of those fat balls that you feed to birds. The plastic was entangled all round the hedgehog. I googled ‘hedgehog rescue york’ and found an amazing lady who has been rescuing hedgehogs for many years and it all started from there. I never knew until then about the plight of the hedgehog, how numbers were rapidly dwindling and how lucky I was to have them visiting my garden. I have taken in more and more hedgehogs over the years as my skills and knowledge have grown. I started off looking after hedgehogs that had been treated for ailments but just needed fattening up for release. Then I started taking on poorly ones. I bought a microscope and joined lots of forums where hedgehog rescuers share knowledge and advice. This is now my 6th year of hedgehog rescue and my success rate is around 80%. There are always hedgehogs that are found too late and are beyond help but I try my best with every hedgehog that arrives. I hope you’ve enjoyed reading the story of how it all started. Like all other wildlife rescues, my work is entirely self-funded. Many people are surprised to hear that rescues receive no money from the Government or larger charities. We all fund our work ourselves and could not do it without your help. You can find out more about my work here and also how to support it. 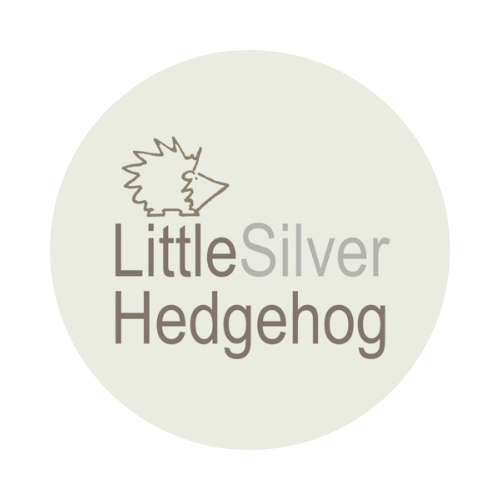 I also make silver jewellery inspired by nature and wildlife to raise funds for the hedgehog hospital. You can visit my jewellery shop here. Can you recommend a camera so I can check if it’s a hedgehog ( or something else) eating my Spikeys food??? I use one of these: https://www.aldi.co.uk/camouflage-wildlife-camera/p/093633048774701 but you have to look out for when Aldi have them in stock. I believe Lidl also occasionally have them. Or you can look on Ebay for Maginon wildlife camera. Thank you SO much!!! Will go shopping! !